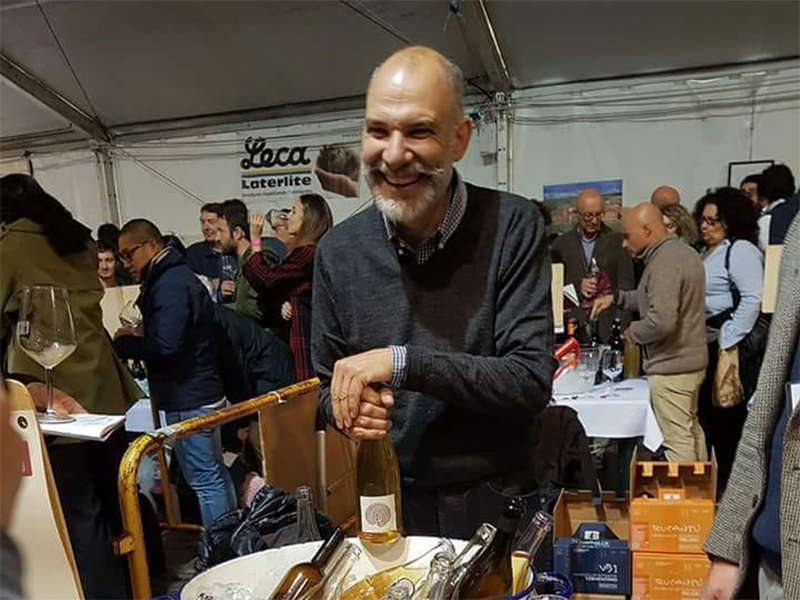 News of his passing first began to appear on Sunday: Ernesto Cattel, Prosecco col fondo pioneer and organic and biodynamic advocate, died last week. The cause was an unspecified long-term illness. He was 54 years old according to most media reports. “Our motto was let’s start at the bottom and rise up from the cloudy to see our way clear,” said his business partner Mauro Lorenzon in an interview with La Nuova, a daily newspaper published in Venice and Mestre. Lorenzon, a celebrated Venetian sommelier and owner of one of the city’s most renowned wine bars, helped Cattel to launch the Costadilà winery in 2006. Today, the estate produces roughly 30,000 bottles of Prosecco col fondo per year. Their adage refers to the sediment (fondo or bottom) of ancestral method Prosecco, otherwise known as Prosecco col fondo, bottle-fermented and undisgorged Prosecco (col fondo means with its sediment). When the wines are stored upright, they are cloudy on the bottom and clear at the top. Together with Lorenzon, Cattel did perhaps more than any other Prosecco col fondo producer to raise awareness of the winemaking style, now ubiquitous across Italy and immensely popular in the U.S. where it has been embraced by a new generation of wine professionals. A member of the natural wine growers association VinNatur, Cattel was also one of Italy’s most strident advocates of organic and biodynamic farming in the Prosecco DOCG. As Prosecco became an unbridled international success and commercial powerhouse in the 2000s, Cattel was one of the leading voices for artisanal winemaking there and he was among the earliest to farm Prosecco biodynamically. Joined by a like-minded and determined group of young growers, he and his wines were viewed as a counterpoint to the “industrialization” of the appellation. With their wines and their advocacy, he and his fellow winemakers helped to revive a waning viticultural tradition that had been eclipsed by behemoth bottlers. News of his passing has been followed by an outpouring of remembrances on the Italian-language internet. “Ernesto Cattel was one of us,” said the editors of a Facebook page managed by Rete Contandina (Farmers Network), a group that raises awareness of local foodways and organic growing practices in Prosecco country. Image courtesy of Diego Carraro (Venice). ← Pizzeria Bianco in Phoenix was everything they said it would be… and more.